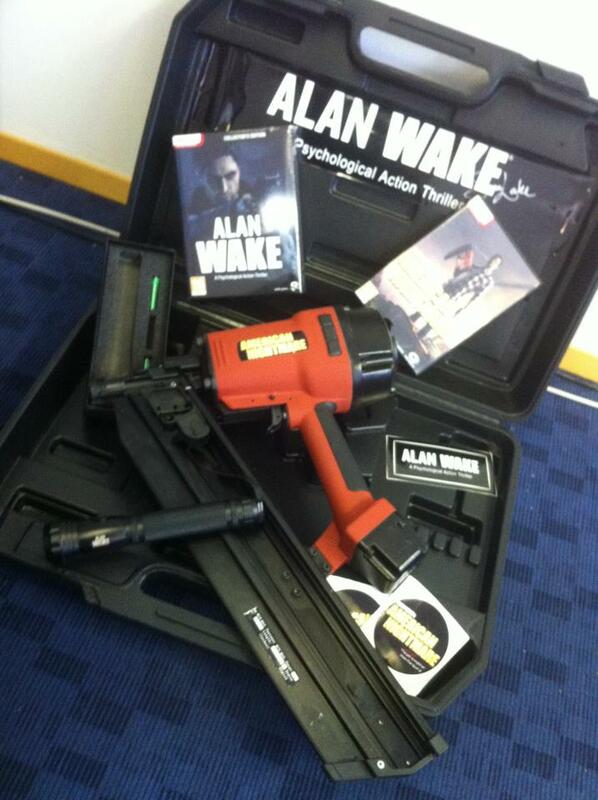 A brand new competition is currently running on the Official Alan Wake Facebook page. The competition allows one lucky fan to obtain all the merchandise shown in the image accompanying this post. Up for grabs is the PC version of the original game and Alan Wake's American Nightmare, a nailgun (just like the one Alan uses in AWAN), a selection of stickers, a torch with the AW logo, all inside a toolbox signed by lead writer and creative director; Sam Lake. To have a go at winning the prize, all you need to do is share their facebook post on your own page/profile. CLICK HERE for the post.